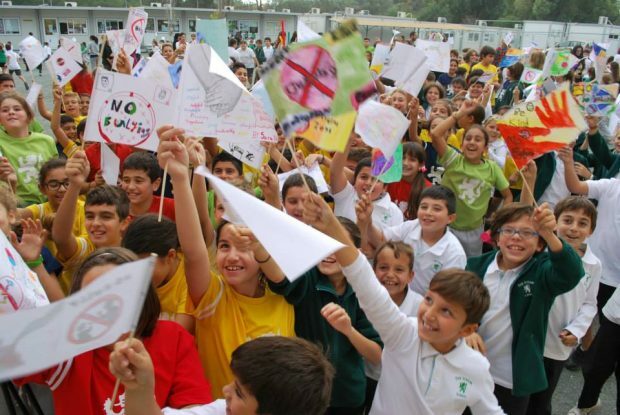 A photograph by The Cyprus Weekly’s Melissa Hekkers of an anti-bullying event at a Nicosia school is one of three winners of a photo competition organised by the Cyprus Community Media Centre (CCMC) with the support of the European Commission Representation in Cyprus. Working under the title “We Participate!” the theme for this year’s DigiMe photography competition aimed to highlight the importance of active citizenship in a time of transition in Cyprus and the EU as a whole. The competition has been held annually since 2011. “With the European Year of Citizens 2013 coming to an end, the competition intended to document those instances where people have contributed to our society, and encourage each and every one of us to keep on,” said the organisers. Winning entries were judged on whether they could demonstrate positive instances of active citizenship in Cyprus, their photographic appeal and the attention drawn to them through online social networks.